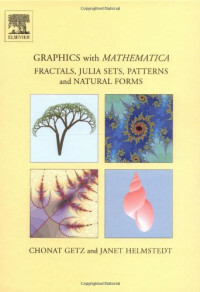 In this book we generate graphic images using the software Mathematica thus providing a gentle and enjoyable introduction to this rather technical software and its graphic capabilities. The programs we use for generating these graphics are easily adaptable to many variations. These graphic images are enhanced by introducing a variety of different coloring techniques. Detailed instructions are given for the construction of some interesting 2D and 3D fractals using iterated functions systems as well as the construction of many different types of Julia sets and parameter sets such as the Mandelbrot set. The mathematics underlying the theory of Iterated function systems and Julia sets is given an intuitive explanation, and references are provided for more detailed study.